These are resources for starting a website or podcast. These days, a website is basic for any business or brand. Even before your brewery opens it’s doors to the public, you should have a website to let people know a little bit about you, let them know you’re coming, and build excitement. 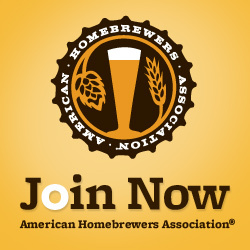 WordPress: You don’t have to learn HTML or web design to have a website for your brewery. WordPress let’s you easily and quickly add content to the site. WordPress has been a much steeper learning curve than I expected. It has also been way easier than if I had done it any other way that I know. The link above goes to WordPress.com for free website hosting, with a URL like: yourdomain.wordpress.com. I recommend self-hosting your website because you can use a custom URL and you can control the ads on your site. To host your own blog, go to WordPress.org. InMotion Hosting: URL registration and web hosting service. This is the one that MicroBrewr uses. It’s inexpensive and they have great customer service, they’ve always been super patient with my lack of expertise. If you purchase through the affiliate link above, you can choose the option that’s best for you. They have tutorial videos on the InMotion Hosting YouTube channel… so why not go with them! WP Engine: URL registration and super fast web hosting service. This one is recommended often. Experts have told me that I should switch to WP Engine soon. WP Engine speeds up WordPress with super fast servers and amazing load time. OptinMonster: This is that [not so] annoying popup asking you to join the MicroBrewr email list. This WordPress plugin does so much more than that. I examined this article about popup plugins with a fine-toothed comb. Then I researched a bunch on my own. OptinMonster is the only one with all of the features that I knew I wanted—especially “exit intent.” UPDATE: I just learned how to do split tests and it was so easy, I set them up on all my sites. I highly recommend this plugin! Podcasting is a great way to expand your reach. Traditional forms of advertising are becoming less relevant. More people are listening to podcasts instead of radio. At least one brewery already has their own podcast: Short’s Brewing Company. If you want your brewery to reach a new audience, podcasting might be right for you. Ecamm Call Recorder for Skype: This is the Skype plugin that allows me to record Skype calls onto my computer. It’s super easy. I’ve never had any trouble with it. It comes with super easy software to convert the .mov files to .mp3, and to split the conversation into 2 tracks for better editing in GarageBand. They also make Call Recorder for FaceTime, if you’re interested in that. I tried it and it works well. 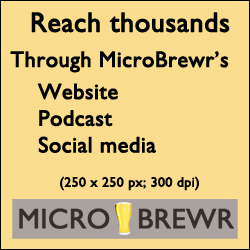 Check out this post to see how I use Call Recorder to record MicroBrewr Podcast. Audio-Technica ATR2100-USB Cardioid Dynamic USB/XLR Microphone: This microphone is recommended by top podcasters like Pat Flynn and John Lee Dumas. It’s inexpensive, it sounds great, and it plugs into the USB port on my computer. It comes with a little tripod stand. Get a foam ball windscreen with it too. GarageBand for Mac: Apple’s audio recording and editing software is pretty easy. It’s inexpensive. I like it.